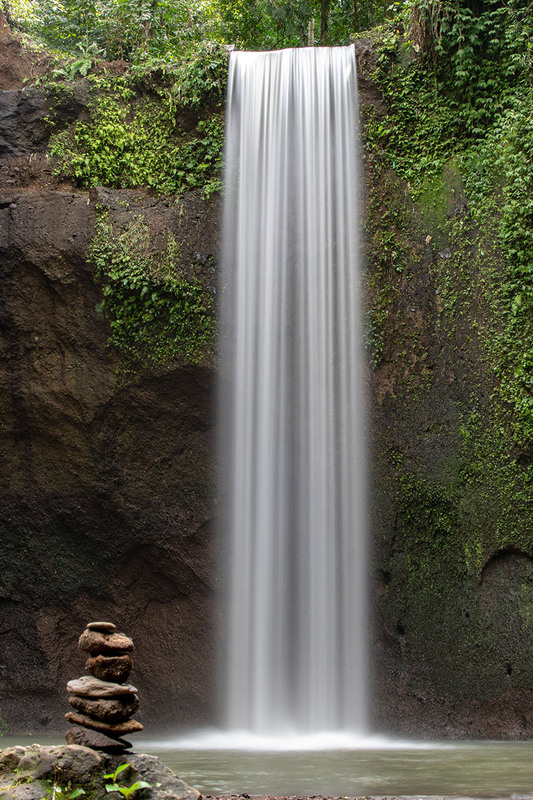 Did you know that Bali is bucket list heaven for hordes of Instagram tourists? But forget perfect photos, Marcel Habets is on a mission to find another kind of perfect, and its not on Bali. I had promised my teenage daughter Bianca that I would take her back to Indo one day. She had been there for five weeks, but that was when she was about to turn two. She is in her matric year at Hoër Meisieskool Bloemhof, so the trip was long overdue. Lots of Instagram research went into her planning. My plan? Surf. But sadly, the 'normal' places in Bali are overrun by loud, noisy people. We spent the first few days hanging out at Kuta and Seminyak. The sea was flat. We did the tourist Instagram thing. She enjoyed it, but the Aussie invasion was all too prevalent. We found them to be hard partying, raucous people, with no regard for others. I spent a few hours with Nick Mesritz, an internationally renowned bodyboard shaper who makes SCIENCE bodyboards and supplies Reef Bodyboards back in SA. Nick explained that these "poor buggers" worked 20 hour shifts for 30 days in West Australian mines, before getting six weeks off. They would get on a plane the next day, with money to burn. We spent a few days in the Bingin and Ulawatu area, which is nice if it is your first time but it is also crowded and the waves were not great. We are spoilt for quality in our back yard. Waves were maxing at three foot, but there were lots of Instagram tourist things to do. Instagram seems good for business: the restaurants that pay influencers were busy, but expensive. The back roads had hidden gems, with prices half that. We escaped in a hire car to the uplands of Bali, to Ubud, a centre for traditional craft and culture. The locals questioned the hire car. 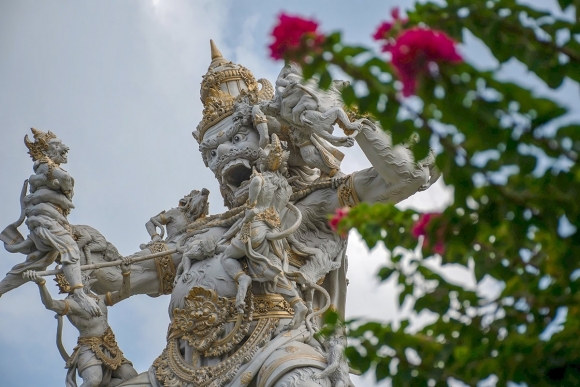 How can you drive in Bali, as boisterous and manic as the roads can be? Ubud is kiff. The monkey forest is worth visiting. We hired a scooter to visit the rice terraces, an Instagram bucket list tick, but a tourist trap. A Google search got us to a waterfall (top right) that was beautiful. A couple left as we arrived and we had it all to ourselves for half an hour before it got clogged with Instagramming crowds. At the end of week one, we took a boat trip to Nusa Lembogang, a small island just southeast of Bali next to a larger island Nusa Penida. The surf was flat and Mount Agung was doing its thing on Bali and spewing smoke into the air. I could not get any good shots as there was continuous cloud cover, but it made for good sunset shots. While walking along the beach, a Captain Blank introduced himself. He was recruiting tourists to go Manta Ray snorkeling. His boat was seaworthy and he had a "salt-of-the-sea Indo seaman" look about him. It took some convincing from my daughter to get me to go but it turned out to be the best snorkel of our trip. He was on it from the time we arrived off Nusa Penida. He motored right past the other operators, and put us on the manta rays. What an experience diving with these magical creatures. Go there, it is worth it. At this stage WindGuru was showing swell, so I booked a six day stay at G-Land. We had a few days to kill first. But then drama struck. 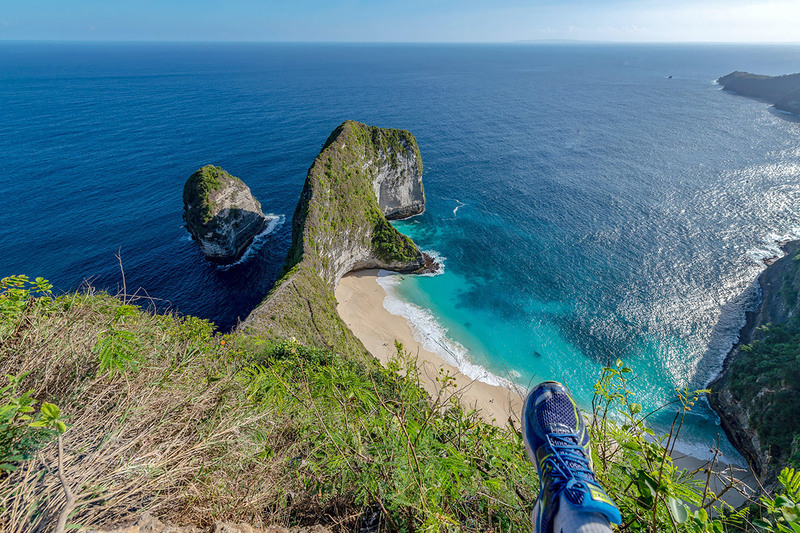 After two nights on Lembogang we went to Nusa Penida. The idea was to visit the last lot of Instagram spots and get a few photos. Next morning we missioned down by scooter to Crystal Bay on the northwest coast for a snorkel, which was to be followed by a self-conducted motorised tour. I locked our passports and International drivers license in the scooter boot and went snorkeling. It was only two hours later, when we returned to Crystal Bay Bungalows, that we discovered the missing documents. I wasted six frantic hours of stress and running around. I had to get an affidavit at the local police station so that we would be able to get temporary passports to return to ZA in a week. The manager of the Bungalows went out of his way to help. He drove me around on the scooter for four hours helping me search for the passports. A family from Cape Town had decided to take our travel documents and keep them "safe" as we had "left them behind" in a scooter.At 16h00 it was clear they were gone. It was a Sunday afternoon, and there was not much more I could do. We took the scooter to Kelingking Beach on the shocking roads of Penida. At times the scooter was on its back wheel revving up an intense gradient on the worst mixed gravel and tar road you have ever seen. We got our Instagram shots at Kelingking Beach and the incredible Angel's Billabong, a natural pool and rocky arch at the foot of cliffs, but there was no time left to go to other bucket list spots like Broken Beach or Athu Beach because it was getting dark. We were discussing how we would get back to ZA when my daughter chirped that someone had just sent her an Instagram message. A family from Cape Town had decided to take our travel documents and keep them "safe" as we had "left them behind" in a scooter. Our scooter was old and it turned out any key could open its boot. After much relief I collected it from their hotel on the island next door. I won't describe my initial response to this act of "kindness" without even a note. 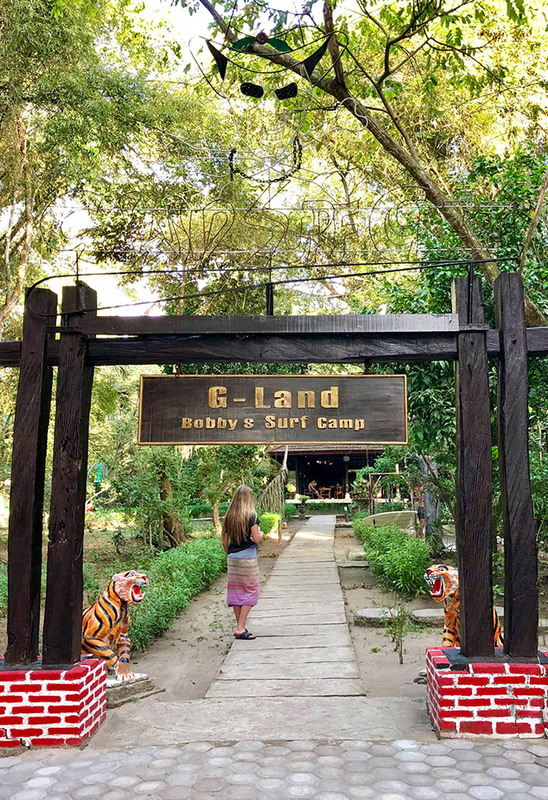 G-Land lies on the island of Java. What a place. 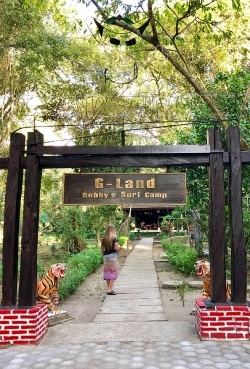 This may sound gushy, but go to Bobby's camp. You pay more, but the service - and surf - is tops! It is unbelievable how much swell it picks up. Uluwatu will be 2'. G-Land will be 6'. When it's smaller than 8', one paddles out at the Keyhole. Further up (left of the break Kong's) there is another keyhole that gives one more space, but beware the wide swingers! It is easy to get sucked all the way down to Money Trees. I had some good waves at Kong's at the beginning of our stay, but Money Trees was the best when the crowd was thin. We surfed a spot further down the beach called Tiger Tracks that reminded me of Kogelbaai beaches – long winding right hand barrels. The difference of course is that this is reef. 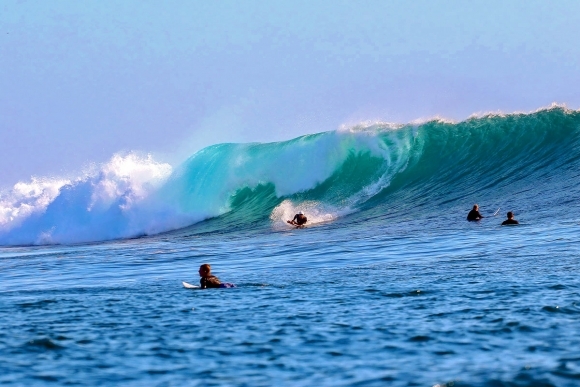 One day the swell was 2.8m with 18 second period. There were 10' waves. The spot Launching Pad was firing and running into Cobra and then Speedies. I got to know my way around the different sections. However, I could not get into the lineup. There was a rip that was as strong as the Gariep river in flood. There was no way I was paddling 200m offshore with a tiger shark warning on the notice board. So I ended up getting a few surf shots. 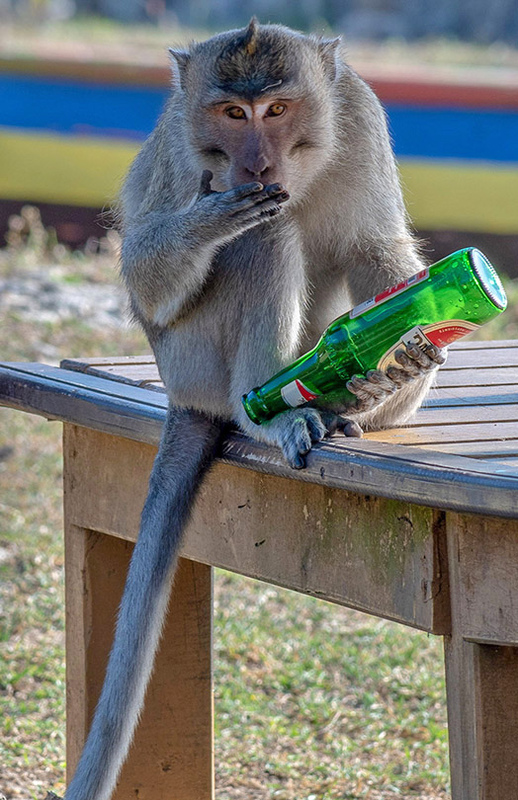 There was a group of young Aussies staying at Joyo's surf camp who were gooi-ing the Bintang's. It got so rowdy that the monkey's were getting chased around. But they got their own back by stealing a drunkard's packet of chips and beer, and sunnies. The oke was not happy. 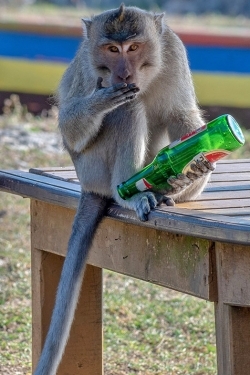 The monkey later returned to sit in the shade and naughtily sip the beer. But why pay good money, then drink beer when the surf is firing? There were epic waves the next day. At this stage, I did not care about tiger sharks and paddled around the wash. I got one from the top of Money Trees all the way into Speedies. I clocked 42.7km/h on the wave – not too bad for a booger. Joost van Lier, the other Saffer on the trip, said he got the best waves of his life. What I enjoyed about G-land is that there were surf families and a much older crowd in the water. The surfers are relaxed, with no Town Clown mentality. There were surfers from Aus, Hawaii, USA, Europe, Brazil and ZA. It is not cheap in our currency, but worth every cent. I would go back tomorrow if I could.